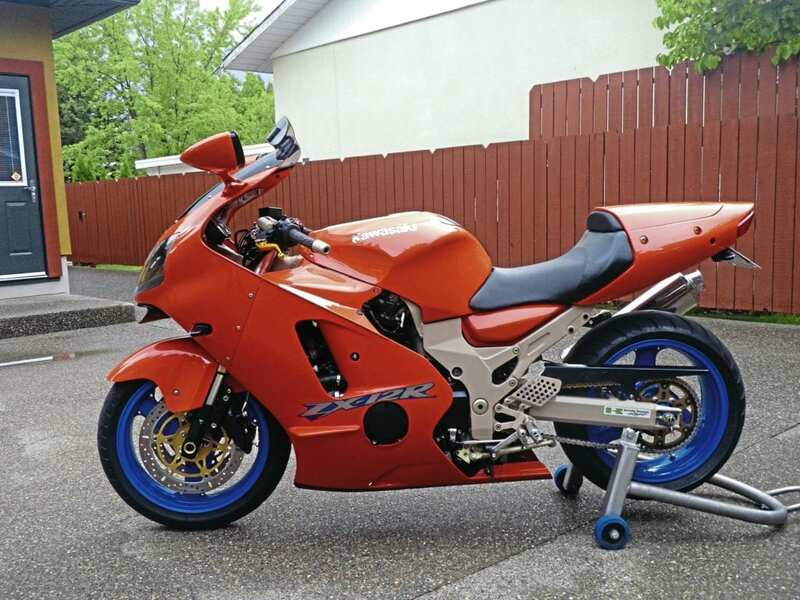 Here are a few pics of CMM reader Mike Hackman’s 2000, ZX-12R, which he bought new in the crate from Burnaby Kawasaki in Burnaby, British Columbia, Canada. “I live in Prince George B.C. and have been riding motorcycles for the past 49 years. I am now 62. 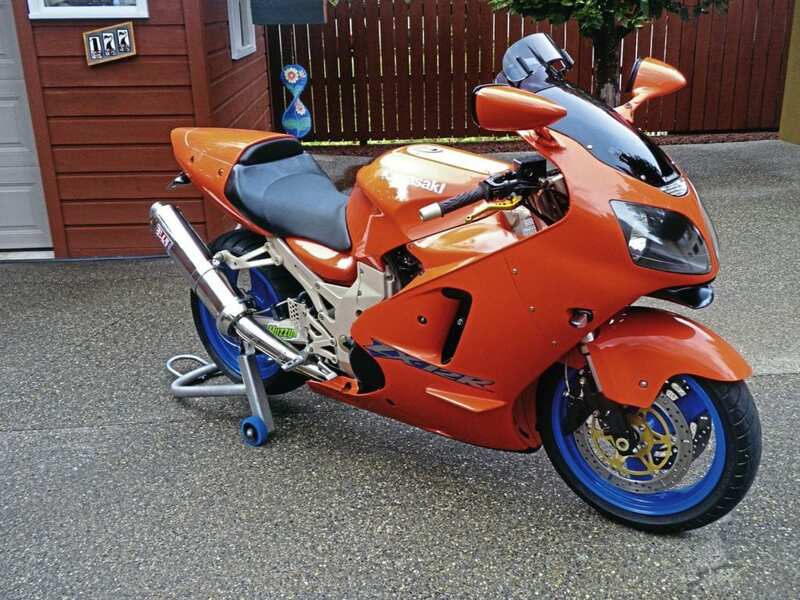 I got my first peek at the new ZX-12R in MCN in around 2000. Talk about love at first sight. 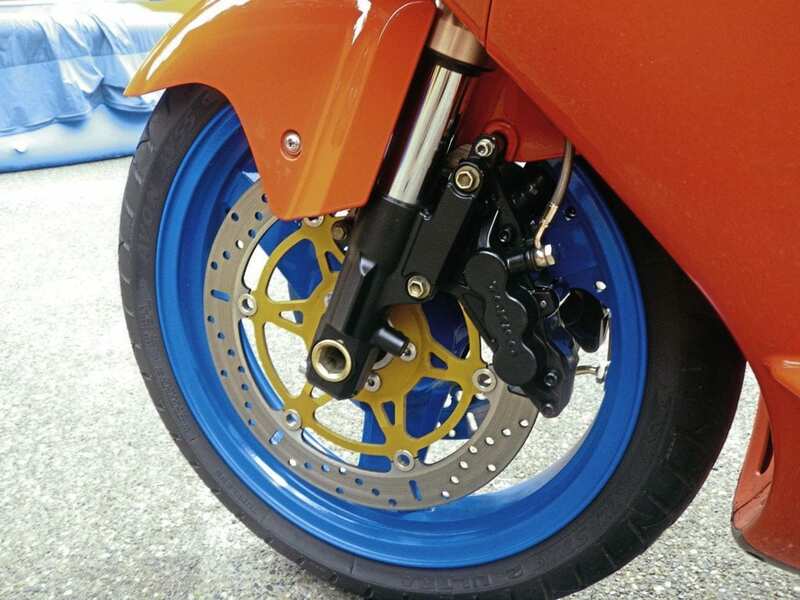 At around 42,000kms, the chain master link broke, resulting in some significant damage to the left rear of the bike. Fortunately, there is a guard around the counter sprocket and the engine was spared any harm. I decided that a tear down and a re-do was in order,” he said. 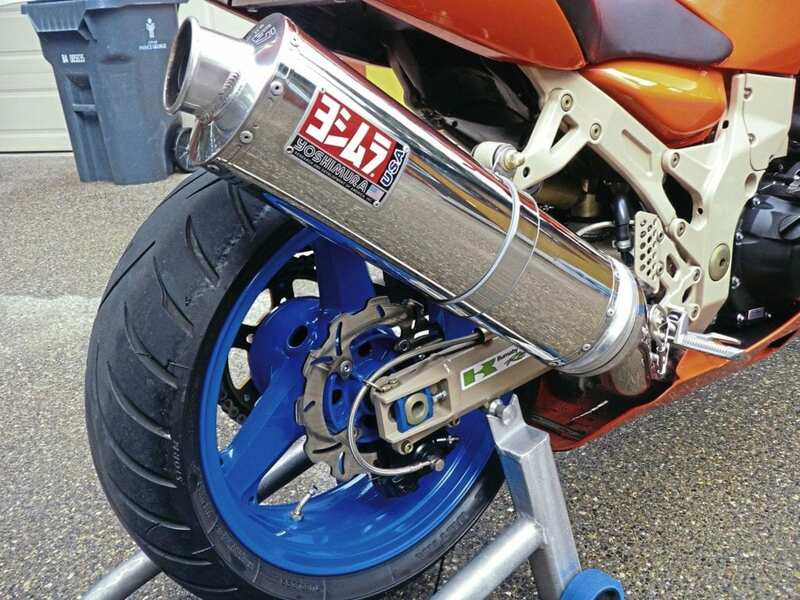 “Too many items to list, but the bike was totally torn down, painted, plated, polished, powder-coated and rebuilt using many stock and quality aftermarket parts. It now has close to 89,000 totally reliable kilometres without a single breakdown. Unfortunately, joint and back problems prevent me from riding this bike any more, but not to fear. 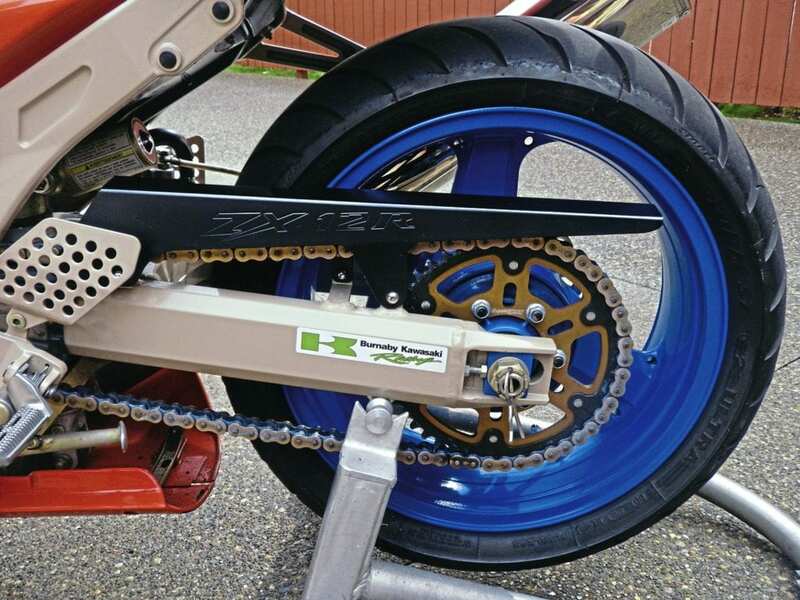 Previous Post:Show Us Yours | Mike Smith’s Triumph Trekker and Honda XL600R!